Last updated 22 November 2018 . By Faith Strickland. Have a smashing time at Castle Square with their ice bumper cars. Hang up your skates and get out of your go-kart because there's a new ice-based activity in town. Castle Square, over in Elephant & Castle, is adding bumper cars to their patch until mid-January. Unlike fairground rides, these machines are built for individuals with a £6 ticket getting you 10 minutes worth of ice-bashing fun. 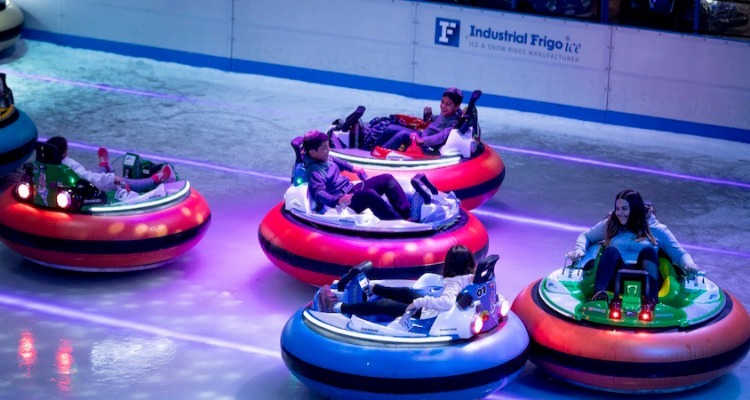 It's not all high-speed and banging about - along with having the only ice bumper cars in London, the ice rink will be putting on ice-skating, DJs, festive food stalls, and hot tipples. Bumper Cars on Ice is taking place at Elephant & Castle, Elephant Road, SE17 1AY. Tickets cost £6 for a ten minute session and can be bought here.